Like its predecessor this is a glamourpuss, with a wavy lateral line, a trio of squared fenestrations on the rear of the front guard, and the Maser trident adorning the C pillar. The previous model was voted the most beautiful car in the world at its debut. The latest iteration is more up to date, though we’re not sure the change in headlight design is any advance. The rest is classy, apart from the odd interior component we felt had been hoovered from Chrysler parts bins. 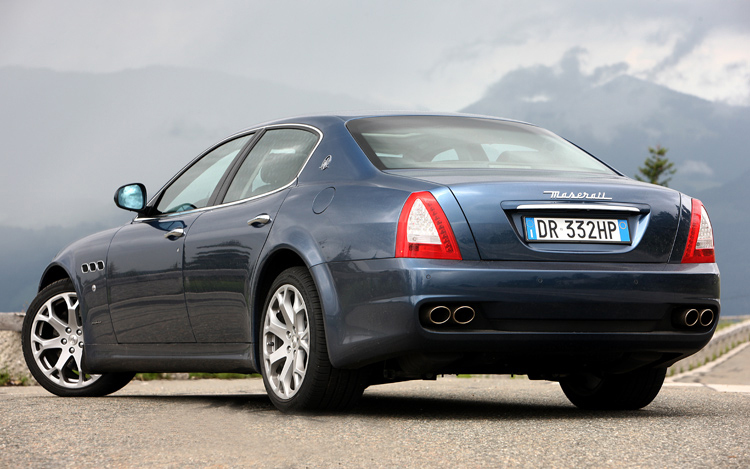 But then this is built to a price, for it is the first Quattroporte that carries a sticker of less than $200k. The fact it is all but identical to the V8 visually will make it even more desirable. And the V6 version is only half a second slower – 4.7 and 5.1sec – to 100km/h than the V8 anyway. Both are hasty for both are doubly turbocharged, and each has a ZF eight-speed automatic transmission, making an appropriate gear available for pretty much any situation and speed. Maserati is quick to point out that the V6 QP S is as fast a runner as the former 4.7 V8 model, some variants of which used to sell for almost $300k. Fire it up and the QP S makes a noise like few other V6s. It could only be from Italy. The latest Quattroporte is an improved vehicle using virtually any criteria you wish to nominate, sound excepted; nothing quite compares with the bellow of the atmo V8. The capacity downsizing in the latest Quattroporte may not improve fuel use much for the V8, despite the theory indicating 11.8L/100km vs 15.7L/100km. But to be able to achieve the same level of performance and pay $100k less, that’s a different story. And by driving the biturbo V6 they will be looking at fuel use of a claimed 10.4L/100km. We managed a low of 13L/100km but no worse than 17s during our two days at the wheel; in the GTS we never saw anything less than in the 20s. We didn’t try the ‘Increased Control and Effi ciency’ (a.k.a. killjoy) mode of the V6, which softens throttle and transmission responses, among other lame things. We sampled two V6 versions, one with 20-inch rims and the other with 21s. Standard the V6 gets 19s but apparently nobody sticks with these. There were clear differences in ride quality. Over some of the more prehistoric roads, we found the version with 21s drove best with the Skyhook suspension setting in the Normal position – in Sport it can bump steer – whereas that with the 20s handled and rode best when the suspension was set to firm. Given the only other factors differenting S and GTS models are different leather patterns and disc sizes, it’s really the engine differences that separate the six and eight. The turbo V8 engine may not sound as exotic as the atmo 4.7 of old (just like F1 then) but compensates by being miles stronger off the bottom. A gargantuan 390kW contributes to acceleration that makes it quicker than the Mercedes and BMW competition costing $100k more, and it is bettered only by 4WD competition in the form of Audi’s S8. The XJ R is about line-ball with the Maser. It’s when you consider how the biturbo V6 Quattroporte S compares on the bang-for-buck front that the real value in the range becomes apparent. All the base limos from Audi, BMW, Mercedes and Jaguar for similar money are either not in the hunt for acceleration, or are diesels and can’t even find the hunt. The QP S is the fastest and amongst the least expensive large luxury four-doors you can aspire to, its 2979cc biturbo cranking out just over 300kW of power at 5500rpm and 550Nm of torque from 1750 to 5000rpm. 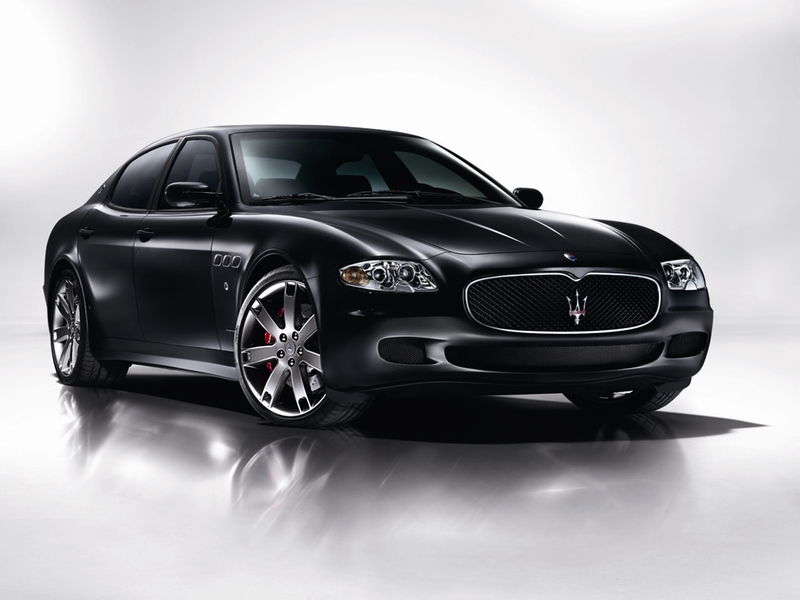 Attaining 100km/h takes a claimed 5.1sec and with a Cd of 0.31 the Maser will charge on to a Vmax of 285km/h. About three seconds and ninety metres is what it takes to get the job done. That said, you’re aware this isn’t quite in the same league of haste as the V8-powered GTS. Like the larger-engined car there’s a moment’s hesitation off the mark as the blowers spin up but where the V8 lunges away from lower revs, the S likes at least 2500rpm before you really feel the hit of the turbos. With the transmission set in Sport, the transition can seem a bit sudden in town, so best to ease around the burbs in the default transmission setting. Within a short time, we were entering Lane Cove tunnel and soon on the M2 heading northwest. To its credit, Maserati has hung in with hydraulic steering assistance, and as a result the QP wheel feels almost to be alive beneath your fingertips. This was a particularly memorable section of road, the even 50:50 weight balance of the Quattroporte making it seem smaller than its 5.2m, and the adaptive damping keeping body roll in check, aiding agility and direction changes. If it’s a dash of sports you’re after in your large four-door, this has it. Only when doing U-turns are you made aware of just how big the car really is. The Quattroporte used to be a confusing thing to drive, with pushbuttons for gear selection, but now there’s a regular shift lever which doubles as a manual sequential gear changer should you tire of operating the oversized paddle shifters. We never did. You have to be deliberate with the lever or sometimes you can overshoot when selecting reverse, and end up in park. A touch screen helps with control of minor functions. this is, especially with the four-seater layout. Five is an option. And there’s decent luggage space in the boot now too – Maser reckons it will swallow two sets of clubs and trundlers – a major improvement on its predecessor. The boot lid self-opens. On a steep and tortuous ascent out of a ravine we switch off the ESP and floor the throttle out of a tight corner, the turbos lighting up the rear wheels and producing an easily controlled drift thanks to that extended wheelbase. Naughty but nice.